Damian Green MP is Minister for Immigration. Follow Damian on Twitter. We have all spent the last fortnight spreading deserved praise around for sportsmen and women, volunteers who made London a friendly and welcoming place during the Olympics, and those who kept the venues safe and secure. I would like to add to those receiving the praise the men and women who were manning the borders, making Heathrow and our other ports and airports secure while keeping any queues to a minimum. The pundits who predicted a national embarrassment were wrong. This makes it all the more important that we differentiate the workers at the border from some of their union bosses. The euphoria of the last fortnight should not mean we forget the attempt by Mark Serwotka and the other PCS leaders to call a strike on the day before the Games started, designed to cause maximum chaos at Heathrow as the world arrived. This piece of destructive posturing failed for a number of reasons. The most important was that the members of the PCS were not remotely behind the union leadership. Only 20 per cent turned out in the strike ballot, and of that small minority only just over half voted for a strike. Damian Green MP is the Minister for Immigration. Immigration is a policy area that, for reasons I don’t need to explain to Conservative Home readers, excites more emotion than analysis. Everyone (except the Economist) agrees that net migration at the levels we were seeing under Labour is too high. But it is not enough simply to emit screams of pain and anger. We need to take each immigration route we can control, work out who we want and who we don’t want, and take action. This Government started work immediately. The first route we dealt with was work visas. Within weeks of coming into office we had imposed a temporary cap on visas for skilled workers (unskilled workers are not allowed in), and from April 2011 the permanent cap came in. Huge vested interests predicted disaster for British business when this happened. In practice the limit has not been reached in any month since April and the system is working well to bring the numbers down. Economic migration will fall by a fifth compared with 2009. Next we moved to the student route, which accounts for two thirds of non-EU migration. This year we have introduced a proper system of accreditation to tackle substandard colleges, tough new rules on English language, new restrictions on bringing dependants and an end to post-study work rights for all but the very brightest. These measures will be fully implemented by 2012, and are estimated to cut student visas by 70,000 a year, with a further reduction of 20,000 a year for dependents. Now we are moving on the family route, where we are in the middle of a consultation on how to cut the widespread abuses of this route. We are looking at language tests, extending the length of time before settlement can be granted (and therefore access to benefits gained) and a range of other measures. We will be announcing our conclusions in the autumn. Damian Green MP: Why don't we know the full facts about immigration? Damian Green is shadow immigration minister and responds here to the attempt by Phil Woolas, the minister he shadows, to prevent publication of the Office for National Statistics' immigration figures. Ministers are puzzled why the public does not believe any of their rhetoric about the immigration system becoming more efficient. Let me help them. One big reason why the public does not believe “good news” about immigration is that even before Phil Woolas started bullying the ONS he and his colleagues had an active policy of not allowing difficult questions to be answered. To illustrate just how bad things are I have been looking at the answers to my own Parliamentary Questions to Ministers over the past few months. Donald Rumsfeld famously distinguished between known unknowns and unknown unknowns. Jacqui Smith and her team have created a whole new category; unknown should-be-knowns. 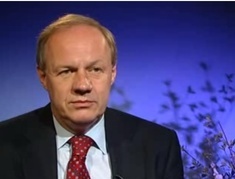 Damian Green is the Shadow Immigration Minister and the Conservative MP for Ashford. Now that all good Conservatives have returned from the beach fully equipped by their summer reading list to nudge, worry about choice architecture and practise libertarian paternalism, it is time to take the intellectual battle to Labour. In particular it is worth pointing out that David Miliband’s notorious Guardian article may have convulsed the plotting classes within Labour, but it was a little empty in terms of new content. The reason is that attempting to warm up Blairism in a Labour context is proving impossible. What the last two years have proved is that the Blairite project of attempting to colonise the traditional “One Nation” territory which the Conservative Party has occupied for most of the successful years of its existence is no longer credible. New Labour has proved a project for the fat years only. Now that the lean years are upon us it is palpably failing. Not only is the “economic efficiency” half of the equation a distant dream, the “social justice” half is failing as well. The poorest 30% have seen their income fall. Social Mobility is the worst in the EU. Youth unemployment is higher than in 1997. The underlying reason is that trying to turn One Nation ideas into a centre-left project was always dishonest. One of the most misleading pieces of conventional wisdom about British politics is that the rush to the centre has left no difference between the two major parties. Another is that David Cameron’s Conservative Party is more about style than substance. In reality the recent successes of Conservatism are due to the latest modernisation of its most long-lasting tradition, the idealism of One Nation. Even more importantly the intellectual underpinning of One Nation thought will give a sense of direction and purpose to a future Conservative Government, if we win the next election. Historically, the most creative periods of One Nation Conservatism have come when its adherents have offered Tory solutions to social problems which the Left believe are its own particular area of expertise. The basic tenets remain the same. It is the duty of Government to take active steps to relieve poverty and its attendant social ills, and it may not be the case that an unfettered free market will achieve this. Pure individualism is not enough, and a Tory Government should encourage the creation of a strong civil society through active measures to help family, voluntary and community action in the areas covered by “social services”. State power is not anathema, but it is the last resort. Damian Green, Shadow Immigration Minister, notes the Government's abject failure to provide backing for an assertion by the Prime Minister. Honesty in politics should involve a good deal more than the employment practices of MPs. It should also encompass Government obeying the rules, including the vital one for effective Parliamentary democracy, of answering Parliamentary questions. In this context consider the following sequence of events. I thought this was new and interesting, so on July 16th I put down a written question asking for the legislative basis for these two assertions. A few days later Downing Street wrote to me saying the questions had been transferred to the Home Secretary.